We can perfect your outdoor living space in the Greenville, Simpsonville, SC area by helping you design stunning hardscaping features. At Greenville Pavers, we love assisting clients who want to make their outdoor living space more enjoyable in the Greenville, Simpsonville South Carolina area. One way we can help you achieve this goal is by designing and installing hardscaping that provides the perfect accent to your backyard space. In fact, hardscaping is more than just laying down bricks – it can be used for a variety of purposes that provide a permanent solution and a beautiful work of art. Walkways – Would you love to have a decorative and functional path from your home to your outdoor entertaining area? How about a beautiful trail through your garden? Hardscaping is the perfect way to create walkways that develop interest and beauty outside your home. Patios – Rather than having your outdoor furniture sit on the grass, you can use hardscaping to create the perfect patio that is functional, timeless, and built to last. Your home’s exterior will be just as beautiful as the inside. Driveways – Did you know you have an alternative to pouring concrete or using asphalt for your driveway? In fact, hardscaping can give you the opportunity to design the driveway that more accurately reflects your style and gives your family and guests a beautiful entrance to your home. Water Features – Ponds, waterfalls, and fountains can all benefit from hardscaping, making them the beautiful decorative feature you imagined. Our team will work with you to achieve your goals, so your backyard is truly the oasis you deserve. When you turn to us, let us know which type of hardscaping feature you are interested in and what you envision for the project. If you have pictures or design examples, please don’t hesitate to share them with us! Our team can use these examples as a basis to go off of as we craft your new water feature, walkway, driveway, or patio. 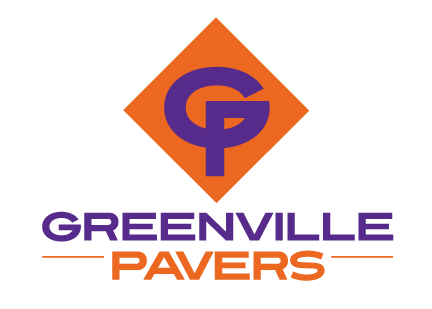 Here at Greenville Pavers, your satisfaction matters to us. For this reason, we won’t stop at anything to ensure that your new hardscaping feature exceeds your expectations and then some. From the day you contact us to the day we leave your property for the last time, we will go above and beyond to communicate with you, perform quality workmanship, and pay attention to the details that matter most. In return, we ask that you reach out to us with any questions or concerns you have at any point during your project. Whether you want to modify the size of your patio or put in an additional water feature somewhere in your backyard, please let us know! We want to make sure we leave you with hardscaping features you’re happy with for years to come. At Greenville Pavers, we’re ready and waiting to give you more information about hardscaping and our capabilities. Reach out to us today to speak with a member of our team and to schedule a consultation!